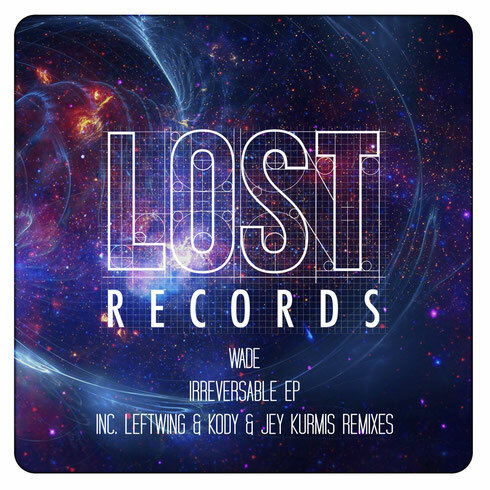 Spain’s Wade joins the Lost Records roster bringing two house tracks with remixes from Hot Creations producer Jey Kurmis and Lost founders Leftwing & Kody. Dropping a collaborative release on Lost Records in 2014, the Spanish producer has since gone on to appear on labels such as Suara, Moan and Solid Grooves. Still in his early-20s, 2015 has seen him perform across Europe with appearances in the UK, Italy, Ibiza, Sweden, Switzerland and Germany. He now joins a roster featuring the likes of Darius Syrossian, Hector Couto, Waifs & Strays and MANIK, on Leftwing & Kody’s Lost Records imprint. First up, title track ‘Irreversable’ is a production complete with a variety of heady vocal samples and a laidback groove, whilst ‘Solar Check’ is driven by a bassline accompanied by a distorted vocal hook and whirring effects. Both tracks feature suspenseful drum rolls and are aimed for peak-time bedlam. Jey Kurmis, known for material on Resonance and Red Lunar Records, remixes ‘Solar Check’ by adding a range of bleeps and pops for an more esoteric production than the original, before Leftwing & Kody inject their energy into a rendition of ‘Irreversable’ to transform it into a bass-fuelled workout.